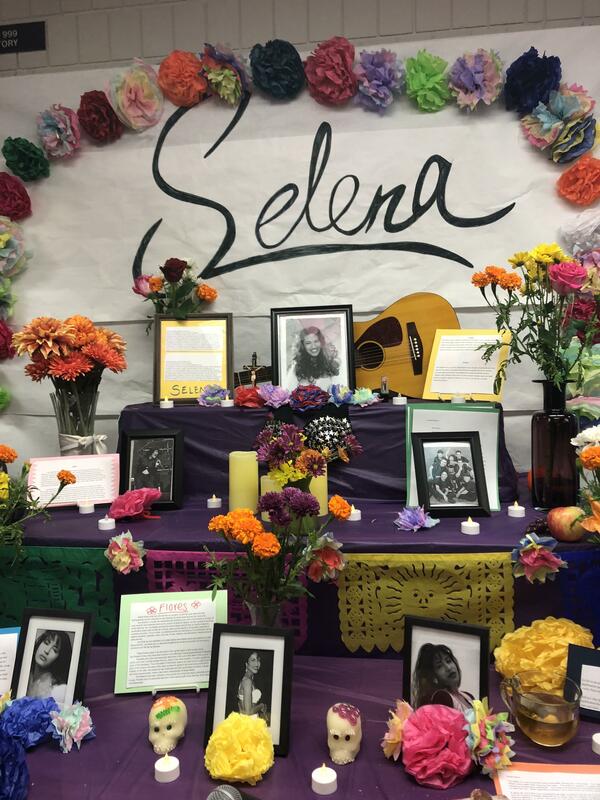 On November 1st, at the school library, there will be a display of “altars,” also called ofrendas, starting from second period to six period. In each side of the room there will be ofrendas that are set up on a tablecloth. There will be papel picado, which is cut tissue paper set over the cloth as a decoration. On the table there will also be levels that are set using boxes to represent different levels. The levels represent the levels a soul needs to journey though to reach the next life. When you are walking around in the library you will also see salt and water next to the decorations as essentials. They are set to quench the thirst of their souls. 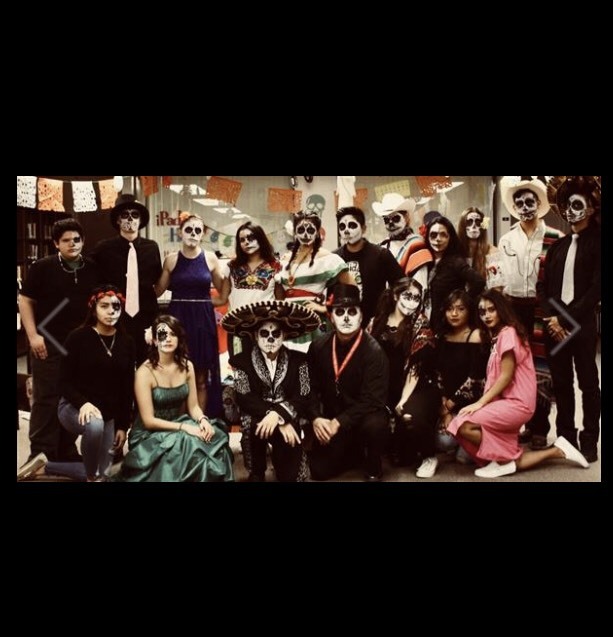 Another thing you will see at the the library is people dressed as a “catrina” or a “catrin” and other people with their face painted as a skull. There will also be a description in paper of the elements used to make an ofrenda and their significance. When you walk around you will also see pictures of people who have passed away, some are famous, and some are people that were important in someone’s life in school. 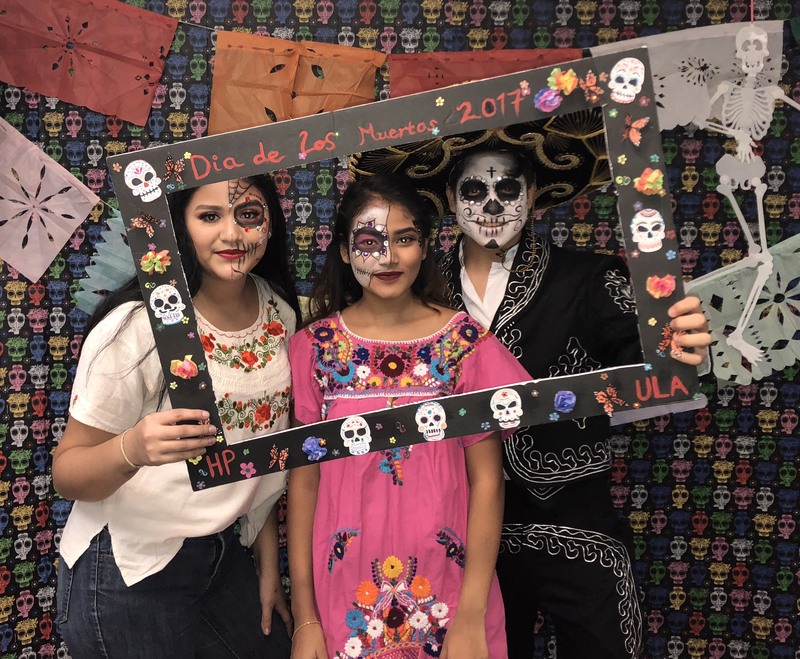 There will be so many great ofrendas that will be shown on dia de los muertos November 1st, at the library! Make sure to come take a look.